How to get there: This trailhead is about as far east in Southern Norway as one can get. It is a pretty long drive from most places, in particular, from Bergen where I live. From the south, consult your map and pick a route that runs via Drevsjø or via Koppang depending on your point of departure. From the north, you may drive via Tolga or Røros. Either way, one needs to drive south of the big lake Femunden, then north on its eastern side. The road ends at the small village of Elgå located on the shoreline of lake Femunden. There is a nice lodge open all year, highly recommended for its hospitality and a near perfect trailhead for this mountain. The location is N62:10.021, E011:56.640, elevation about 665 meter. 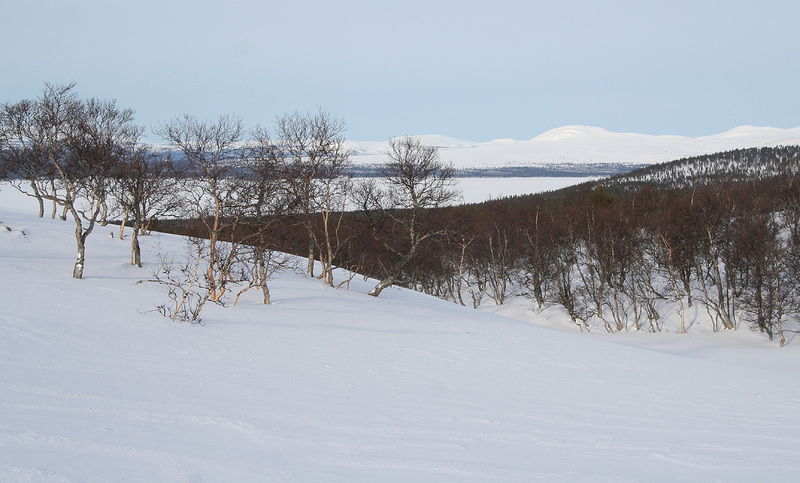 Route description: From the Elgå lodge, there is a prepared ski track that starts right next to the building and heads into the forest. This track soon merges with a few other tracks, take the track that leads gently uphill. There may be a sign saying "Mil-runden" or something similar. 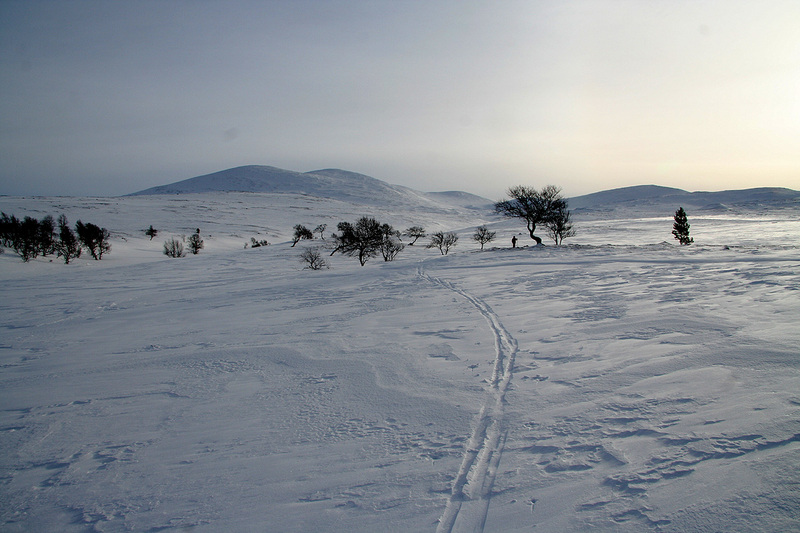 Follow this ski track to its highest point where it crosses the small creek called Litlbekken just as it crosses the tree line. Follow Litlbekken uphill, this will take you into the most natural route climbing perhaps slighly right of the summit. This route is quite gentle and leads to the broad south ridge that subsequently may be followed to the summit cairn. Comments: I stayed at Elgå with my father about 40 years prior to this visit. We were hunting ptarmigans and walked all over the area, however, I am unable to remember if I ever visited this summit. This time, we arrived after a rather long drive all the way from Bergen. 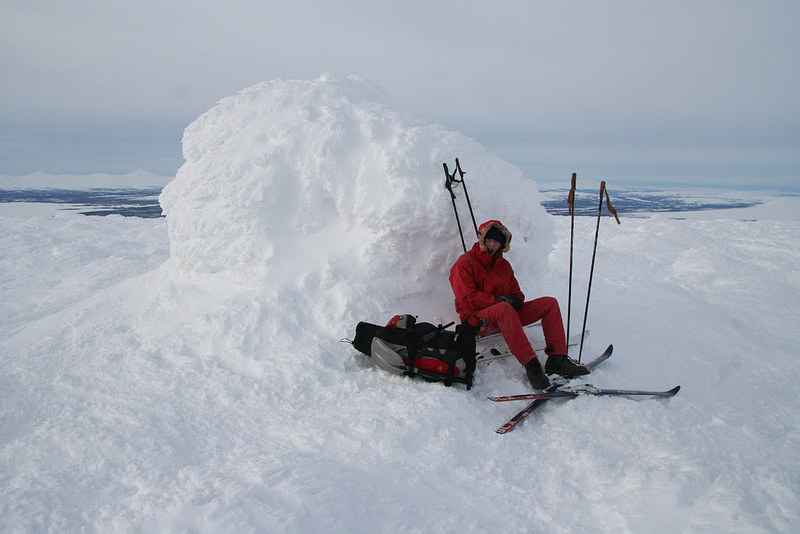 Despite this, we had actually spent 5 hours climbing Vennisfjellet in Valdres along the way. We drove by a sign saying that the Venabygdfjellet road was closed at night from 2000, potentially bad news as the time was already 2030. However, the gate was open and we arrived at Elgå around 2315. This area is quite nice for skiing. Large areas, sparse pine forest at the lower elevations. The terrain formation is a gentle, rolling mountain landscape. A large wilderness area in Southern Norway. 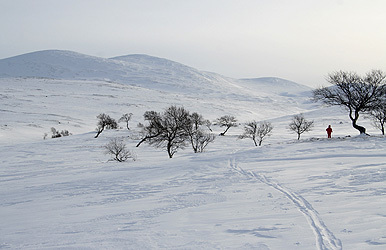 The landscape reminds one of parts of Finnmark in Northern Norway. We started out at 1030 and arrived at the summit at 1250. It was rather cold and windy, so we started our descent around 1305 and arrived back at Elgå in 40 minutes. Pål Jørgen found good snow just below the summit and left some nice Telemark tracks on the slope. We enjoyed the local hospitality with warm waffles and cloudberries, before saying farewell in order to continue our trip with mountains west of the Femunden lake. Out of the trees, lake Femunden behind. Pål Jørgen on the way to Elgåhogna.